Gizo Uglava could be a citizen of Georgia at the time of appointment to the bureau. The General Prosecutor's Office of Ukraine initiated an investigation into the first deputy director of the National Anti-Corruption Bureau (NABU) Guizo Uglava. Ukrainian New says that prosecutors on 24 March opened a criminal probe against Uglava, who is charged of "providing false information in official documents, their use and abuse of office by a law enforcement official, which entailed grave consequences." The investigation believes that Uglava still retained Georgian citizenship as of April 25, 2015, when he was appointed to the post of first deputy director of the NABU. The Law On Civil Service explicitly bans foreign nationals from occupying public posts. Uglava has knowingly submitted false information about his citizenship in the official documents to hold the post in the NABU, the investigation believes. The PGO is also investigating into Uglava's suspected major tax evasion. 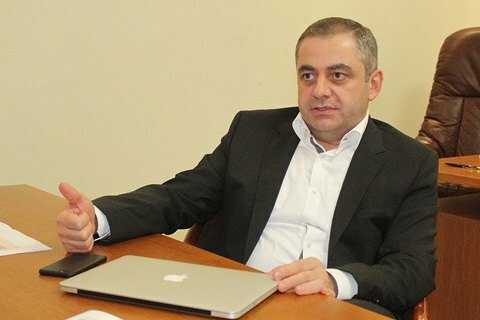 In 2016, he realized his corporate rights in the Georgian company Transportir, and received a profit of 3,380,705 hryvnya, but did not pay 608,526.9 hryvnia in taxes to Ukraine's budget (18%). Gizo Uglava received the citizenship of Ukraine in 2015. Previously, he worked for years in Georgian Prosecutor's Office, where he was deputy chief prosecutor in 2009 - 2012. Update. Prosecutor-General Yuriy Lutsenko said in the Verkhovna Rada on Wednesday that the PGO does not view Uglava as a suspect, and that investigators are checking into an alleged crime. Previously, the NABU denied in a statement the allegations against the first deputy director.